SFO-Oakland Airport Car Service offers airport transfer services to and from SFO Airport 24/7, with a complete fleet of newer model luxury black cars, economy sedans, executive SUVs and Mercedes Sprinter mini coaches, suitable for either business and corporate travel or personal chauffeured services. If you're looking for a reliable, professional and yet extremely affordable SFO airport transfer service or bay area general ground transportation, then give SFO-Oakland Airport Car Service a call and discover the difference! 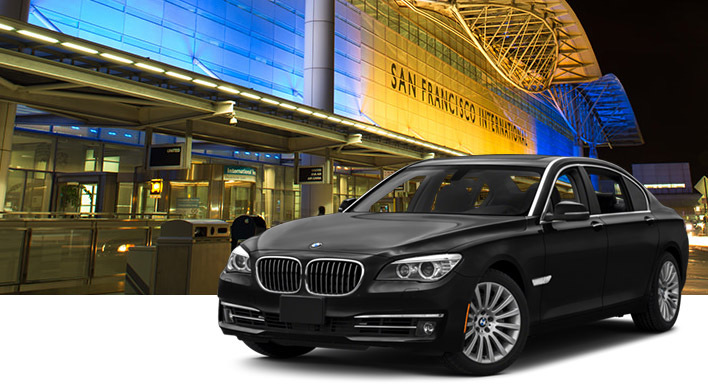 Our SFO airport transfer services are prompt and completely flexible around your schedule, and we also offer corporate accounts for busy executives and frequent flyers at competitive business rates and many perks including service priority. Our team of professional reservationists, account executives and chauffeurs are available 24/7 to assist you with all of your travel needs, airport ground transportation and corporate events at no additional cost, and we offer multiple special offers, discounted package deals and affordable hourly (as directed) rates to save you even more when you choose SFO-Oakland Airport Car Service. Don't take a chance with unreliable taxi and national transportation services, call SFO-Oakland Airport Car Service first for better service and lower rates, whether you need a quick ride to SFO airport for 1 passenger or an entire group and pay only what you're quoted; no small print, surprise or hidden costs! And you can always count on receiving the exact vehicle chosen, a well dressed professional chauffeur and a prompt service... Always! Call us today for vehicles availability, current special offers, package deals, business rates and book your SFO airport ride instantly!